Last weekend Charles and I had a low key brunch at one of my favorite restaurants, Summer House. 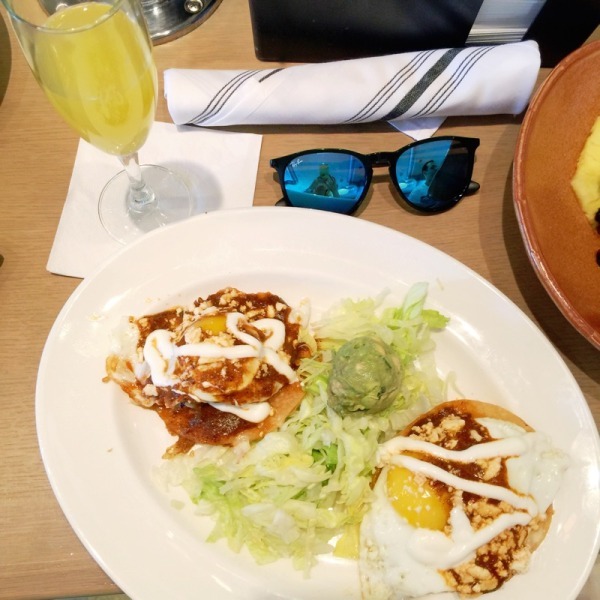 When it comes to brunch, there are two types of dishes I want: Eggs Benedict, or egg dishes with a Mexican twist. 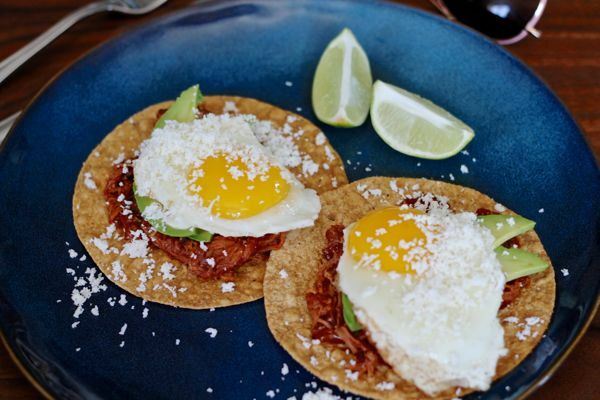 On Sunday I ordered Breakfast Tostadas with pulled chicken, avocado, queso fresco, sunny side up eggs, and ranchero sauce, and the meal became the source of inspiration when I was wondering what to do with some leftover BBQ Pulled Pork. I figured that I could borrow Summer House’s idea, and make Pulled Pork Breakfast Tostadas. Instead of pulled chicken and ranchero sauce, I used Pork soaked in BBQ sauce, and then topped it with slices of avocado, queso fresco, and a sunny side up egg. 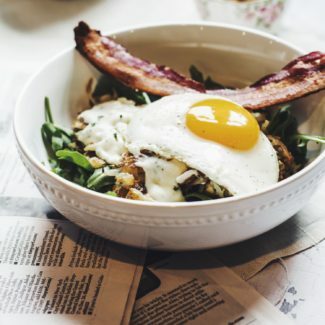 It was a creative way to repurpose the leftover pork in my fridge, and a hearty breakfast. The flavors all worked really well together, and the crispy tostadas are a fun addition to breakfast that I plan to play around with in the future. 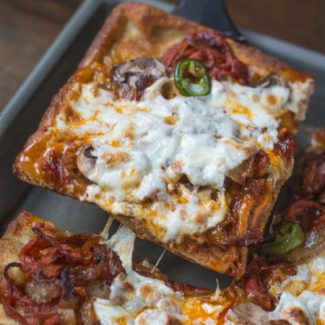 If you don’t happen to have leftover pulled pork, you could swap out the pork for chicken,and make this dish with a rotisserie chicken instead. Just shred the chicken and soak it in your favorite BBQ sauce (or salsa if you really want to switch things up). This meal can be prepared in just 10 minutes – making it a fun option for a quick weekend breakfast. 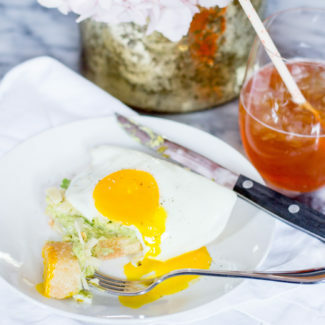 If you want some tips on how to create perfect sunny side up eggs, check out this post. 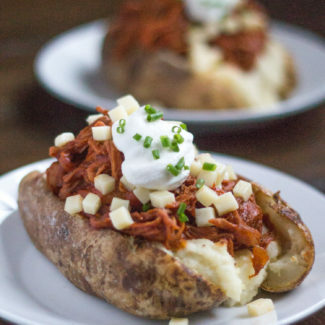 Start by heating up the BBQ Pulled Pork. Then cook some sunny side up eggs. 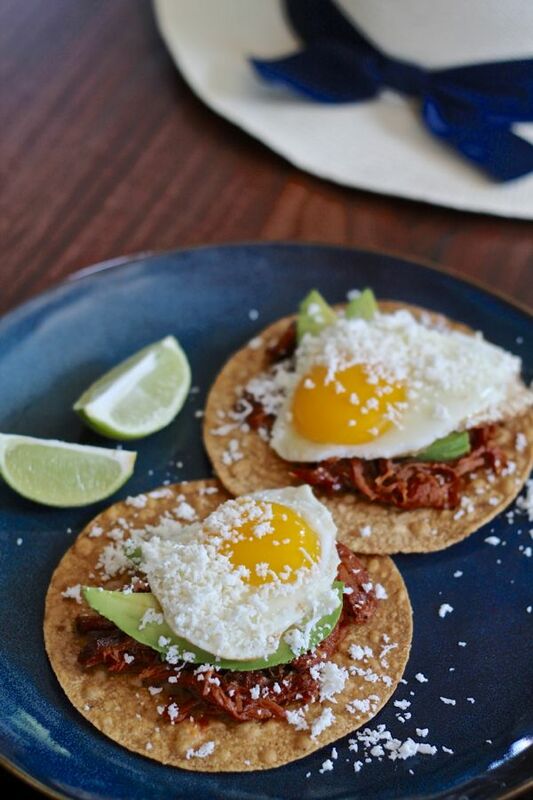 Put the tostadas on a plate, spread the BBQ Pulled Pork over, add some sliced avocado on top, add the sunny side up eggs, and sprinkle queso fresco over.